Music all starts with a single vibration. These vibrations can be such a significant part of who we are, what we believe, how we feel, and the way we communicate it all. Music is essential, music is entertainment, music is culture, music is composure, music is pertinent, music is passion, music is relatable. And now more than ever, music is relevance. It’s 2018 and artist are seizing the industry, with music that is flying in the mug of deep-rooted social issues. 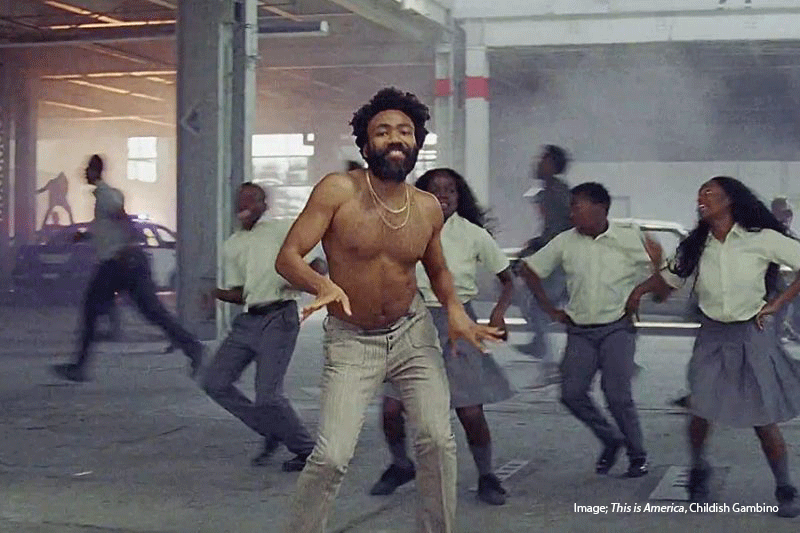 Just look at the recent revival of Childish Gambino with “This is America” and Kendrick Lamar’s Pulitzer Prize win. In an era of social chaos, these are the artists forcing you to face the music. Kendrick paints the picture that the racial barriers only damage both parties. He argues that we need to engage in discussions and actions to tear down what separates us from one another. This is only one example of Kendrick attempting to triggering a discussion of change in police violence, gang violence, crime, health imbalance, and economical struggles. “KOD has three meanings, ‘Kids on Drugs,’ ‘Kill Our Demons,’ and ‘King Overdosed.’ The rest of the album I leave to your interpretation.” – J. Cole (via Twitter). Regardless of drugs, money, and greed, love, itself an addiction, is the strongest of them all. It can overcome any of these. No matter if you agree with J. Cole’s idea of being able to assign your tax dollars with an app, there is no secret that this is a conversation people have been having for decades. Gun control and gun violence in America are huge topics nationwide. Shootings in schools, other public mass shootings, and the unheard gun violence in poverty-stricken areas are constant news stories. There is a huge political debate about gun rights and protecting civilians and children. Childish wants them to be in your face so you can confront them. In an era of social chaos, music is pressuring us a not only to talk but deal with these issues. And there’s only more to come. Mariah Brule, thank you for your blog post.Really thank you! Awesome.